I thought a lot about my word for 2013. At first all I could think about was ‘FOCUS’ but it was my word from last year. I did a lot of focusing last year and really homed in on goals I had for myself, my blog, and my shop. This year I went back and fourth between ‘risk’ and ‘success’ but in the end I picked success. I want to successfully complete the goals I set for myself and be successful in many of my risky endeavors. Printable 5×7 I am taking quite a few huge risks in the coming months and a year from now I want to look back and say that the risks ended in success. A while back I mentioned that after baby #3 was born I wanted to quit my day job completely. I only have a few weeks to make my final decision and I am deciding between returning 1-2 days a week or not at all. It is a stressful decision. After a SUPER.DUPER.GREAT holiday season in the Poofy Cheeks Shop I feel like it was a sign that I should jump in with both feet, yet there is still some hesitation since I do have a family and we can’t make it too long on my husbands salary alone. 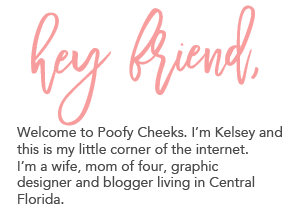 More than anything I want to prove to myself that I can create my own success and be a role model for my kids and others in the handmade and blogging communities. I want my husband and family to be proud of me and I am willing to put in the hard work that is needed to succeed! What is your word for 2013? i think you'll do awesome! but totally understand how crazy it can be to make decisions like that. Success is an awesome word for 2013. Best of luck on everything! I believe in you girl 🙂 You can certainly create your own success!